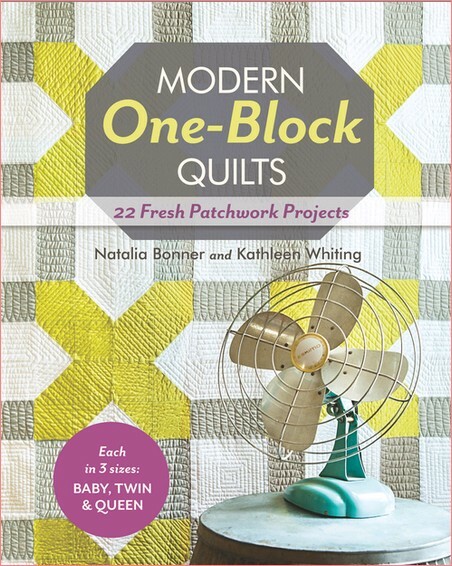 Modern One-Block Quilts by Natalia Bonner and Kathleen Whiting proves that all you need is one simple block pattern to make 22 quilts! From throws and wall hangings to queen-sized blankets, sewists of all skill levels will be inspired to create something new by manipulating these simple block patterns with interesting fabrics, unusual shapes and expressive lines. Clear step-by-step instructions and a basic quiltmaking overview help you from start to finish.